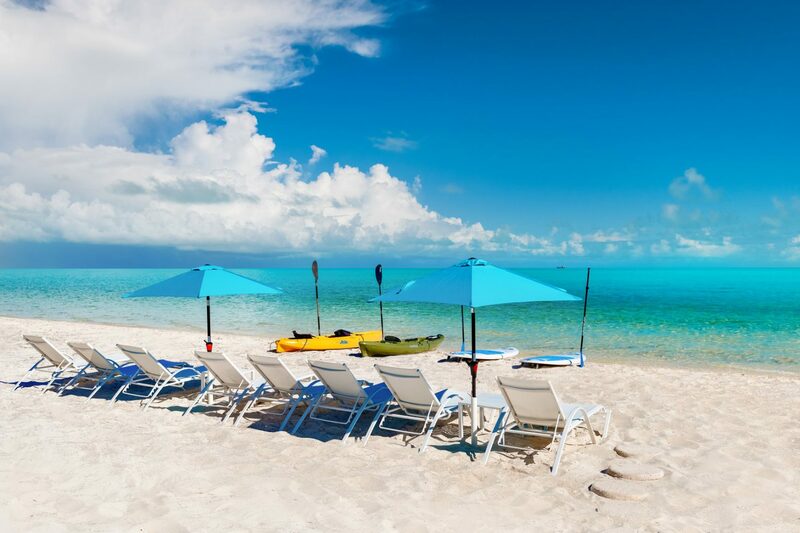 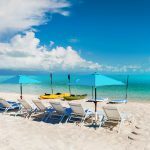 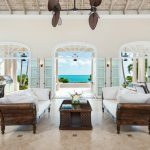 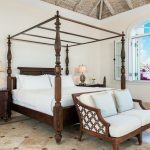 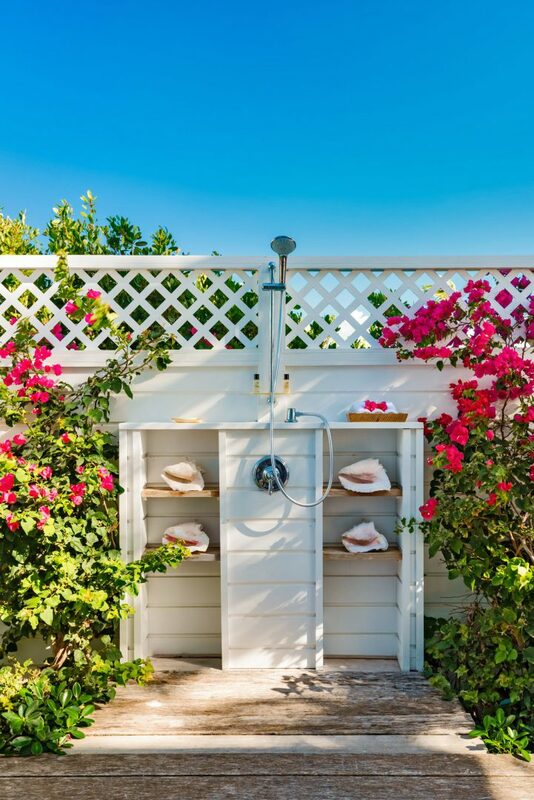 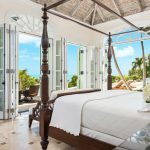 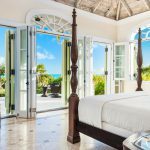 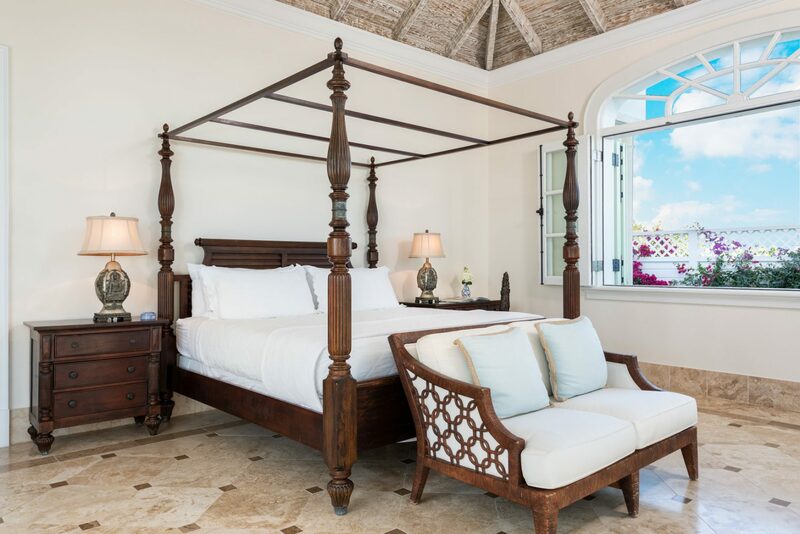 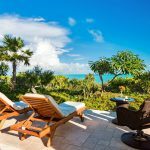 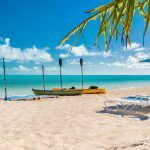 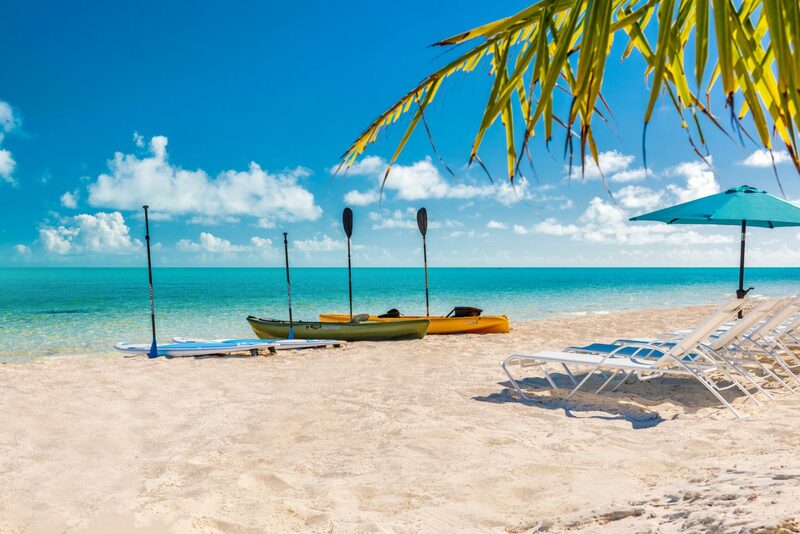 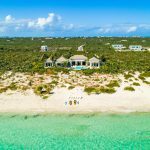 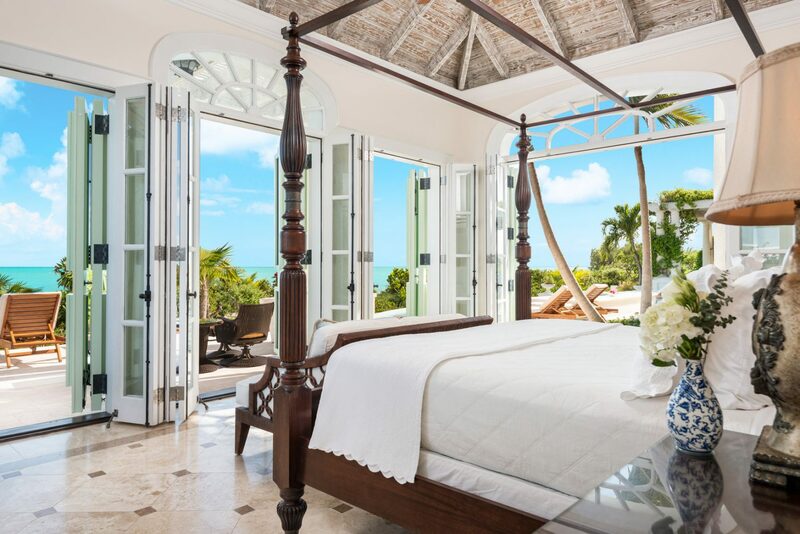 Experience barefoot Caribbean luxury life at Beach Villa Shambhala on Long Bay Beach in Providenciales, Turks and Caicos. 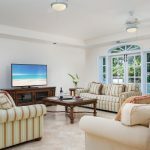 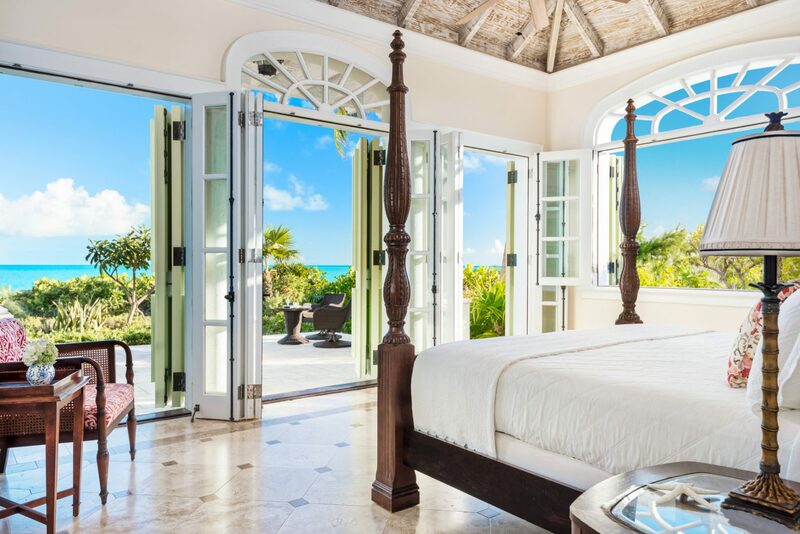 This upscale villa features a large open concept living room with vaulted ceilings and a floor plan designed to highlight the unbelievable turquoise views of Long Bay. 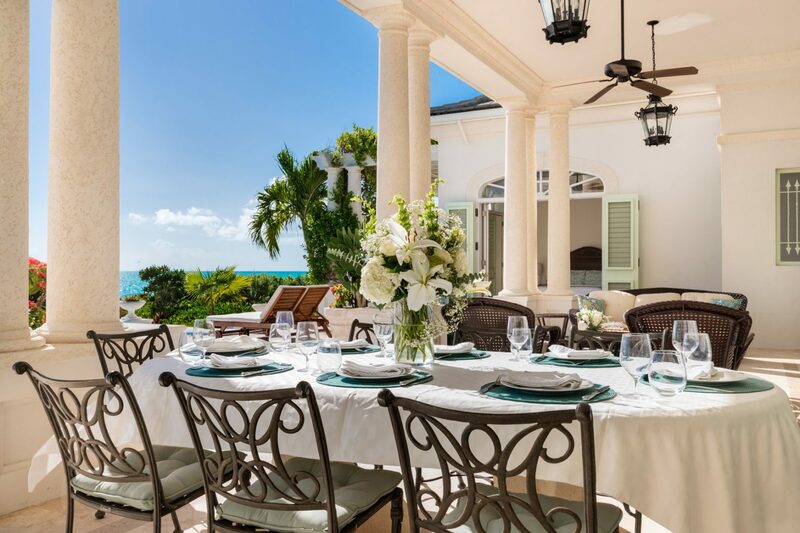 This villa is positioned on two acres of prime beachfront and is designed for a seamless indoor/outdoor experience. 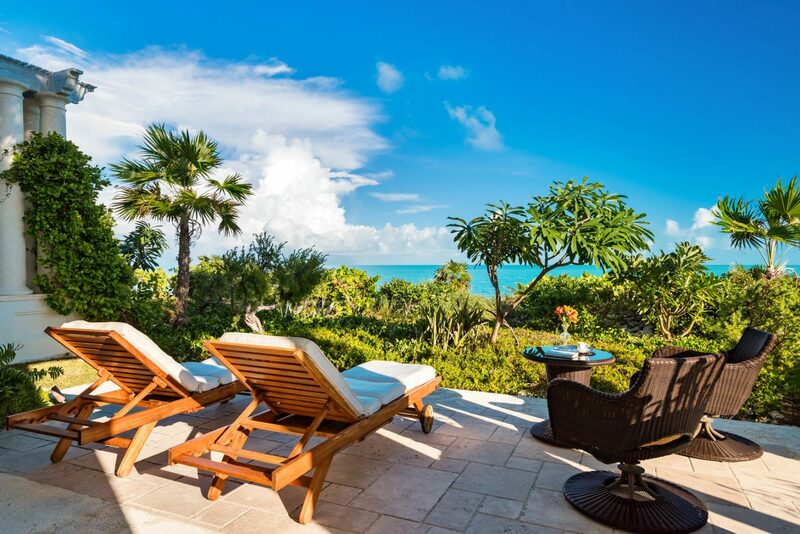 The retractable glass doors open to a spacious pool deck outfitted with comfortable lounge chairs overlooking the sea. 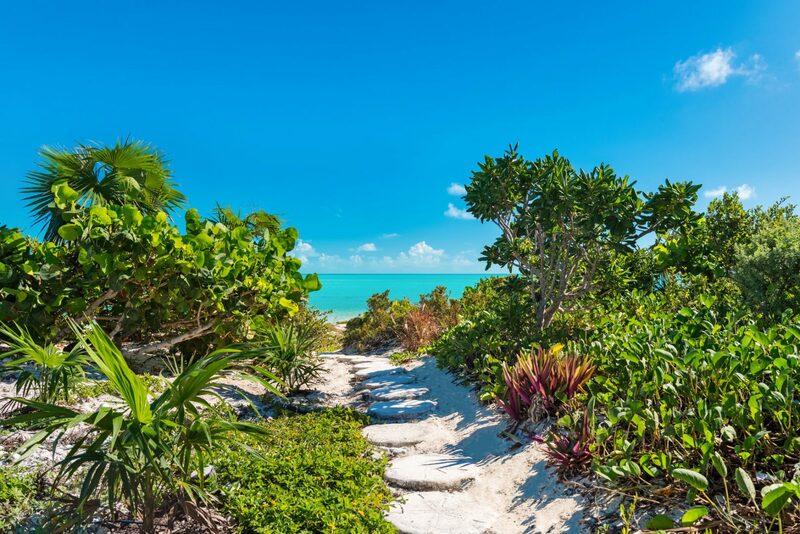 Located on Long Bay Beach (voted one of the top 10 beaches in the world by Conde Naste), Shambhala has a step-stone path down to the white sands and clear calm water. 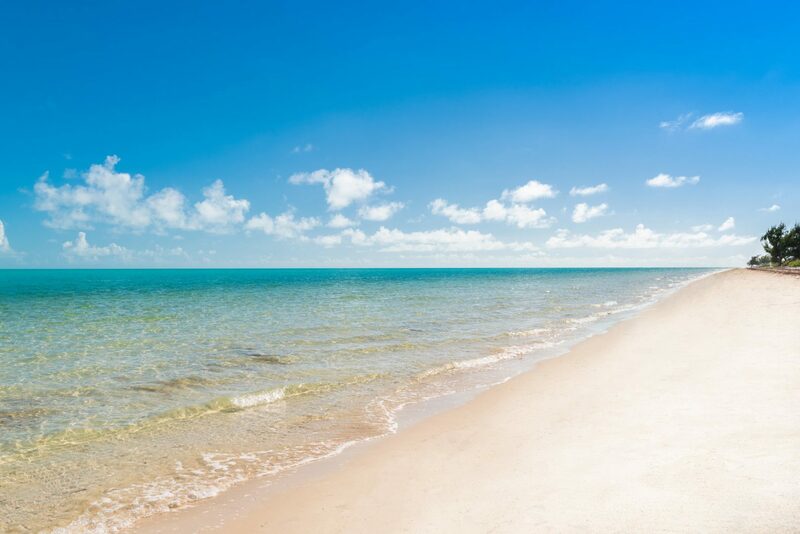 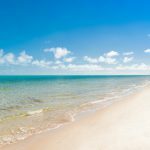 The beach stretches for over a mile in either direction and is a great for a morning walk. 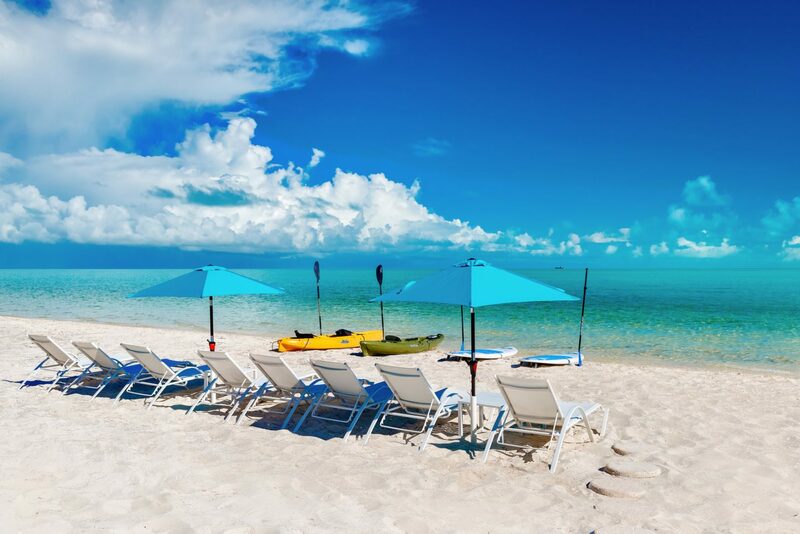 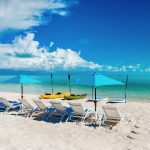 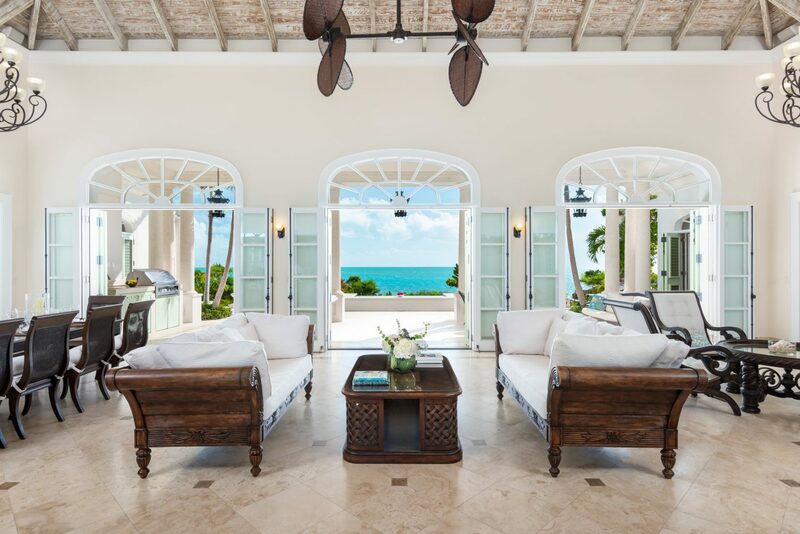 Enjoy the villa’s kayaks, stand up paddle boards, or simply relax underneath the umbrellas in comfortable beach chairs. 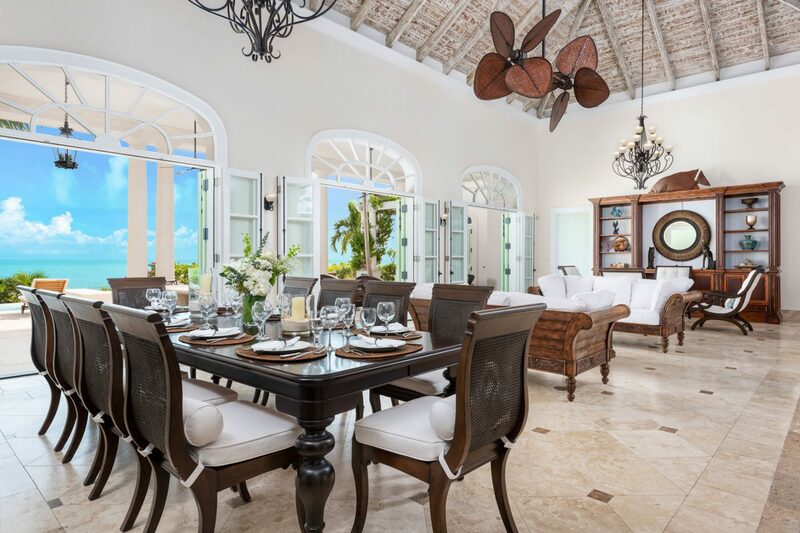 The villa’s interior features two levels of living space. 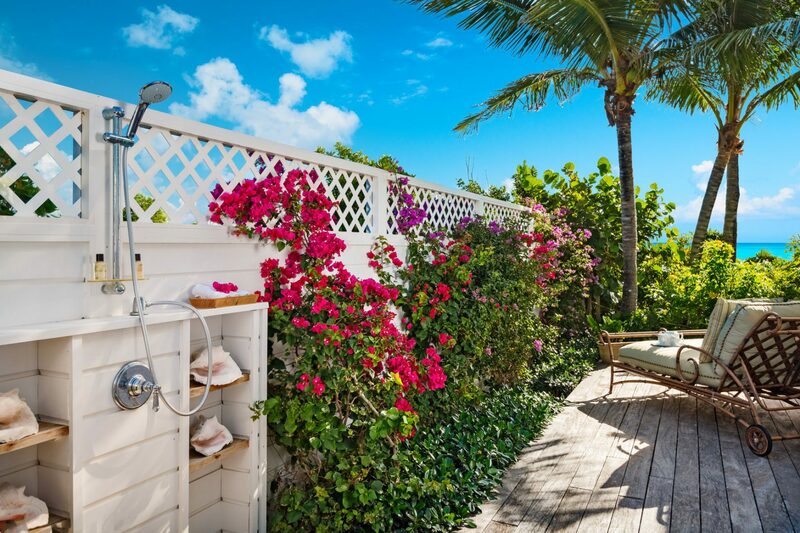 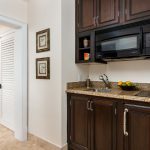 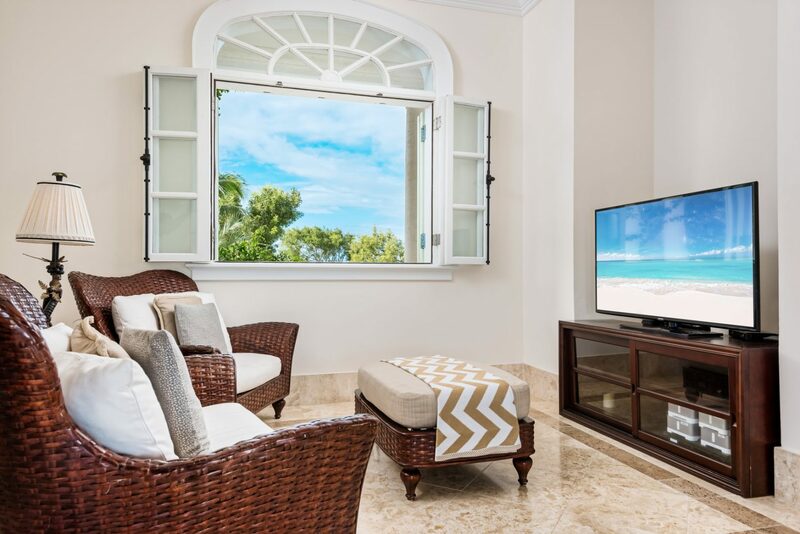 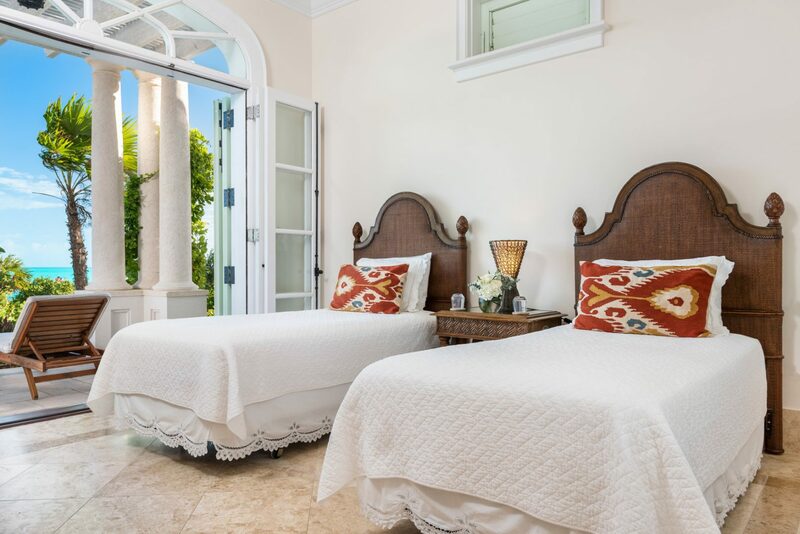 The main level features two master suites both opening to the pool deck and benefiting from direct beachfront views. 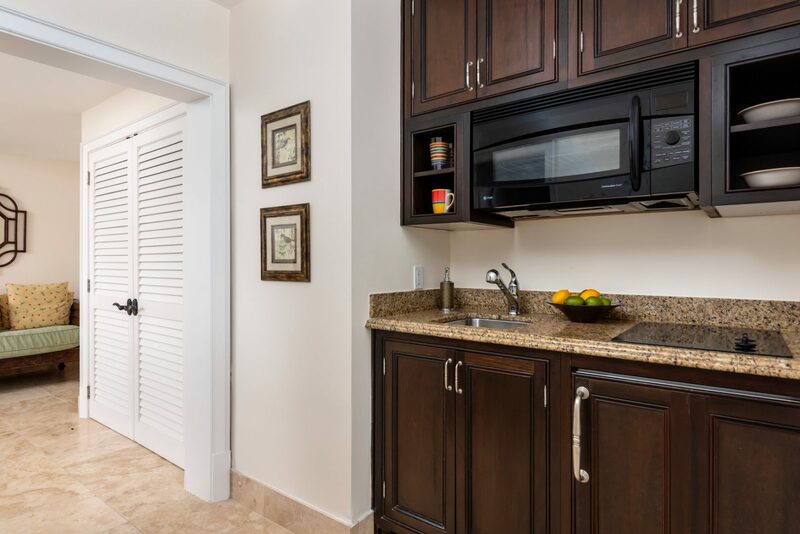 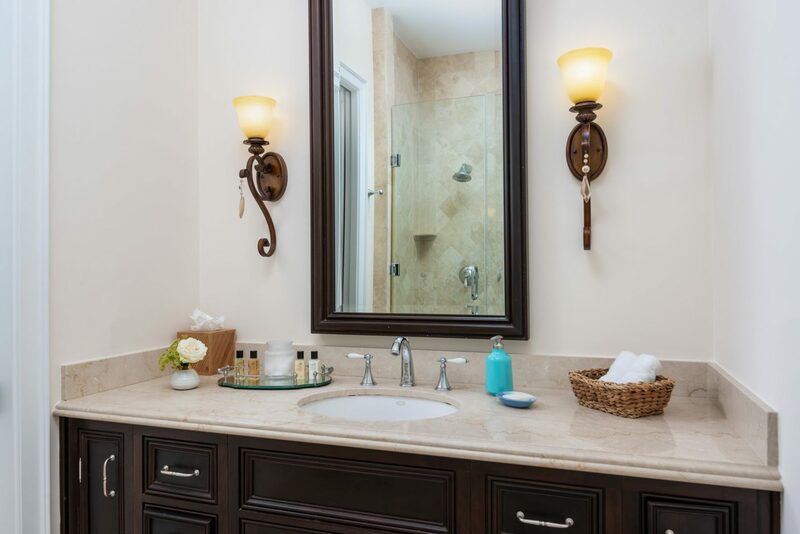 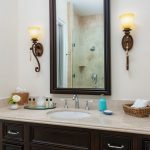 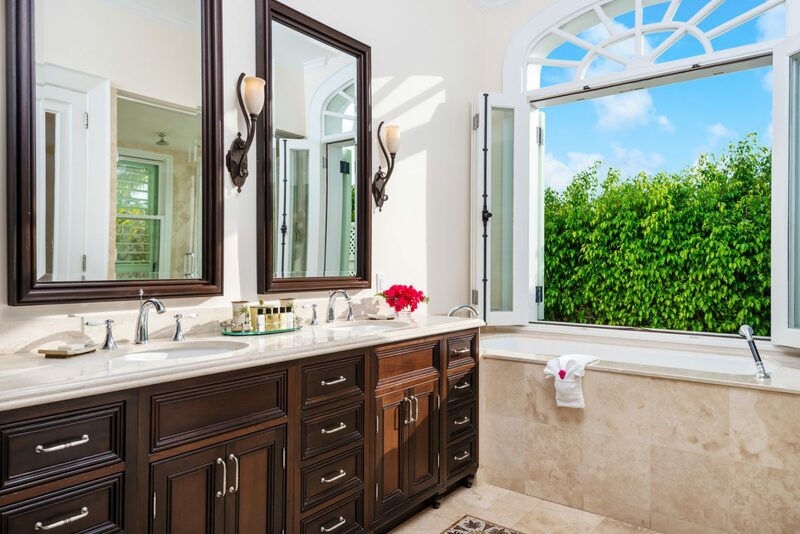 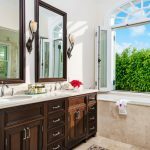 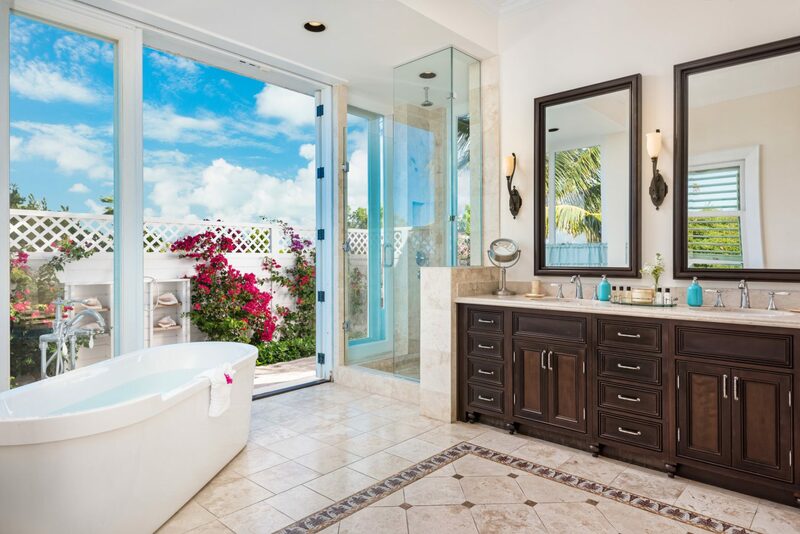 These masters feature king beds, ensuite baths, indoor and outdoor showers, and bath tubs. 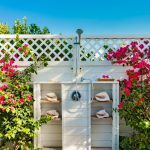 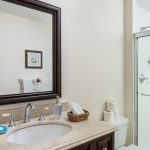 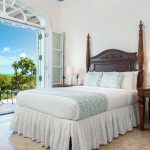 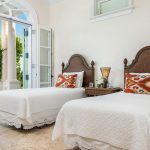 There are two other bedrooms on the main level, one with a queen bed and the other with a T/T (may also be configured as a king), both with ensuite baths and ocean views. 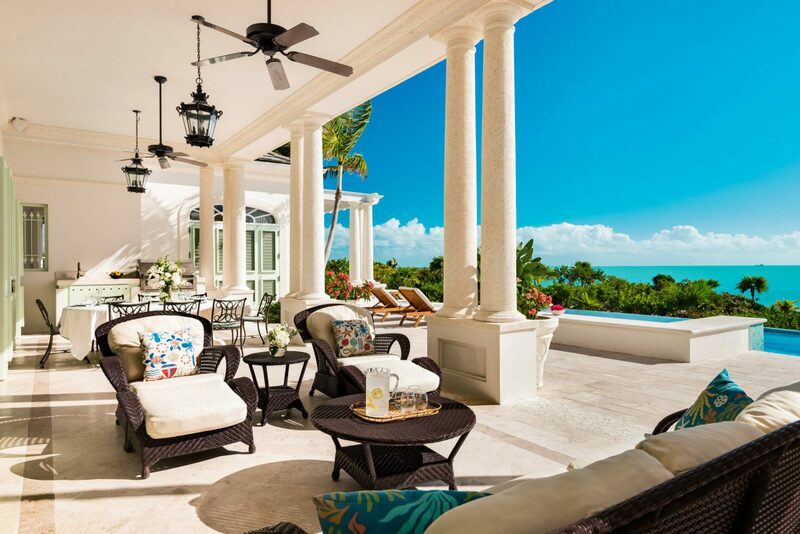 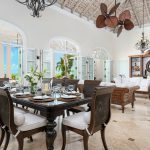 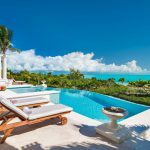 In addition to the large living area, kitchen, and dining room, the main level also features a half bath and inescapable views of the turquoises waters that make Turks & Caicos famous. 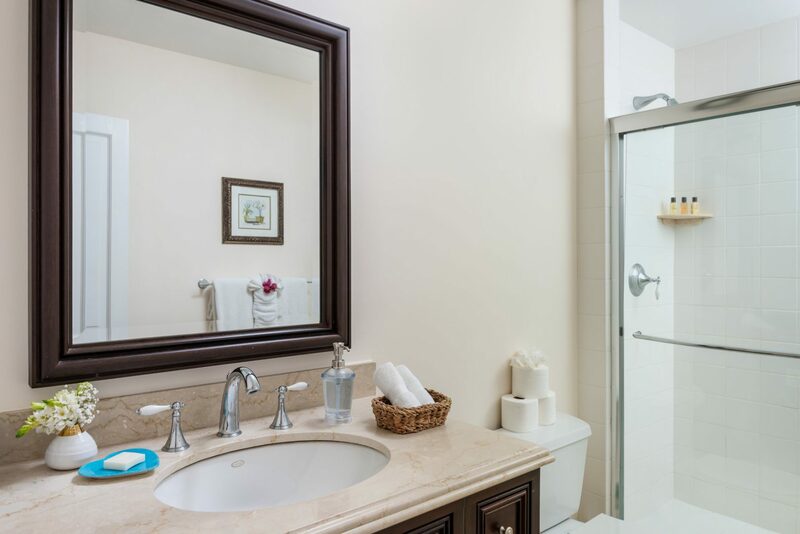 The lower level offers yet another comfortable living room as well as a full bathroom. 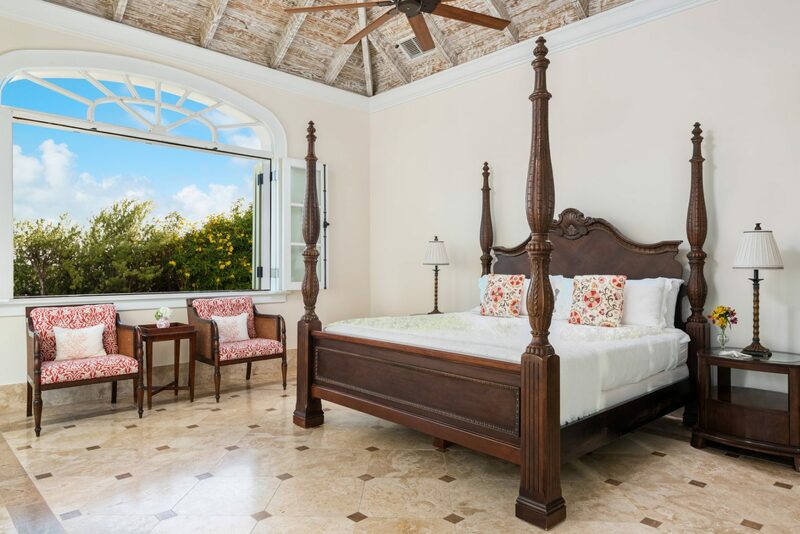 Here you will also find the fifth bedroom complete with queen bed and ensuite bath. 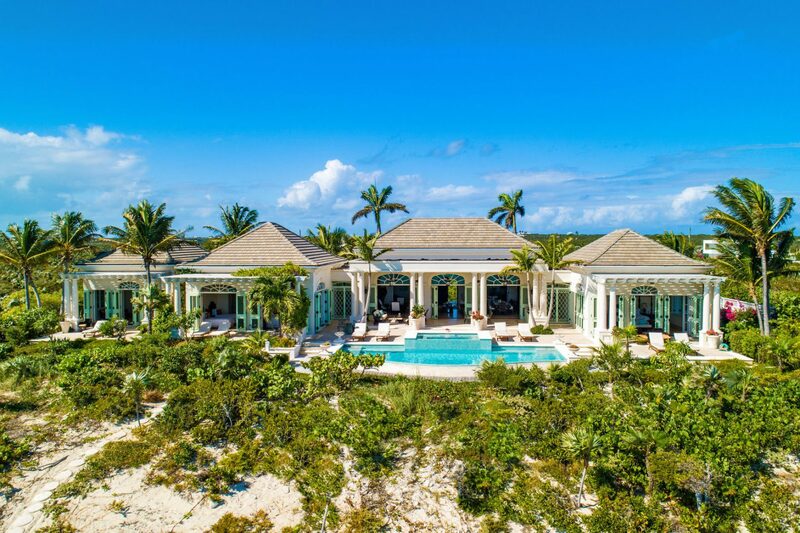 Shambhala features a gated driveway. 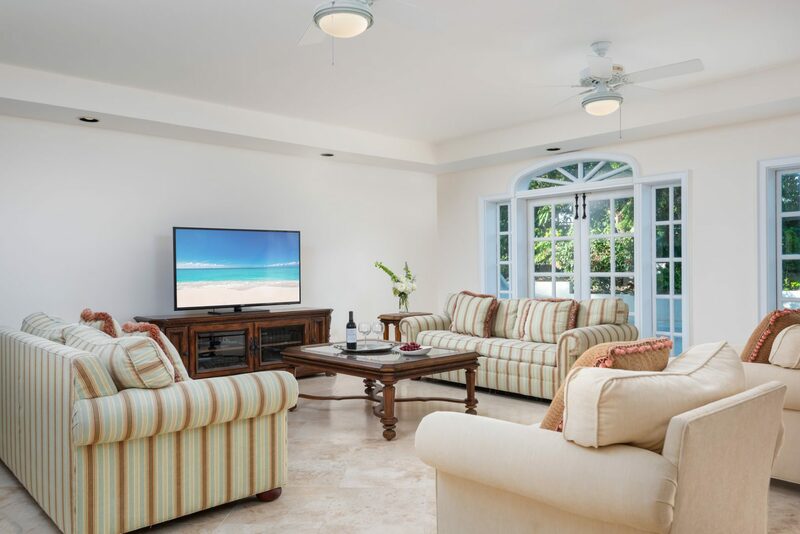 *Shambhala has ceiling fans and AC units throughout the villa. 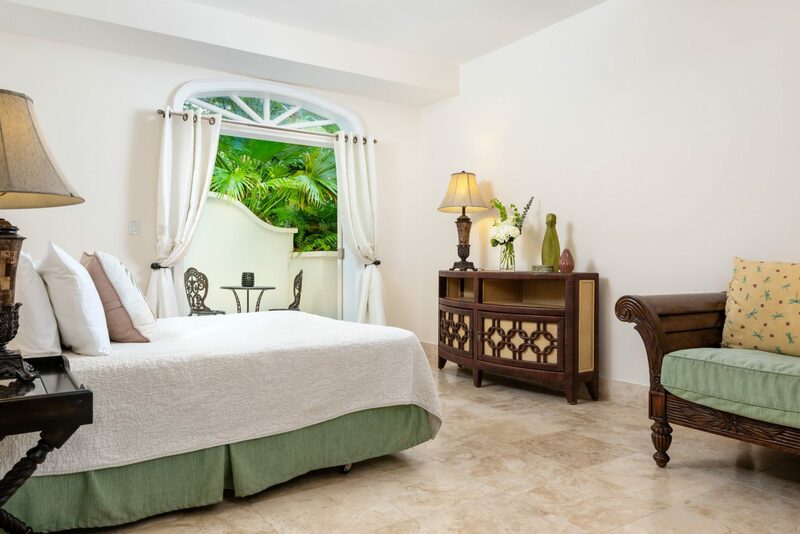 An AC allotment of $450 is offered; most guests do not exceed this amount. 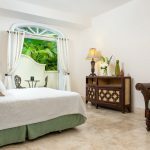 Any overages are charged back to the guest at cost. 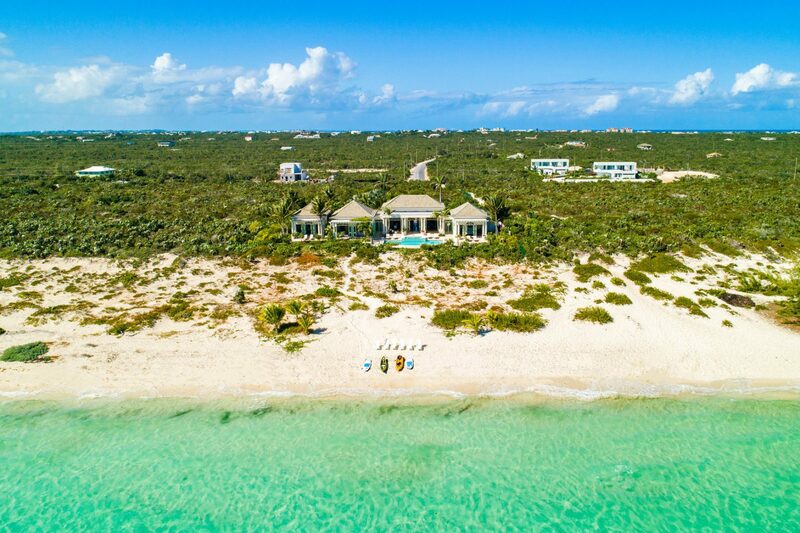 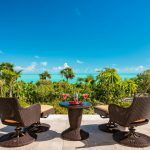 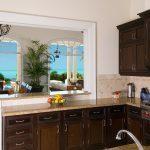 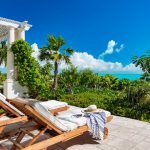 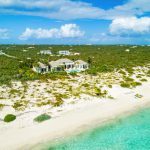 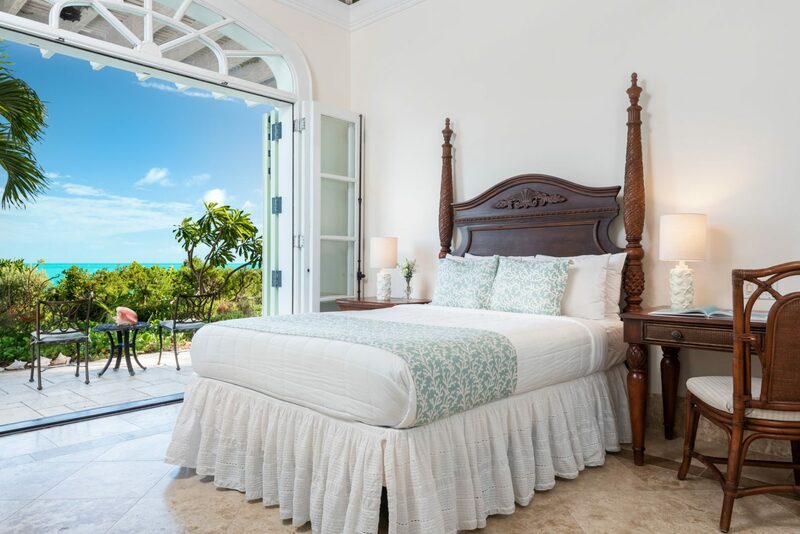 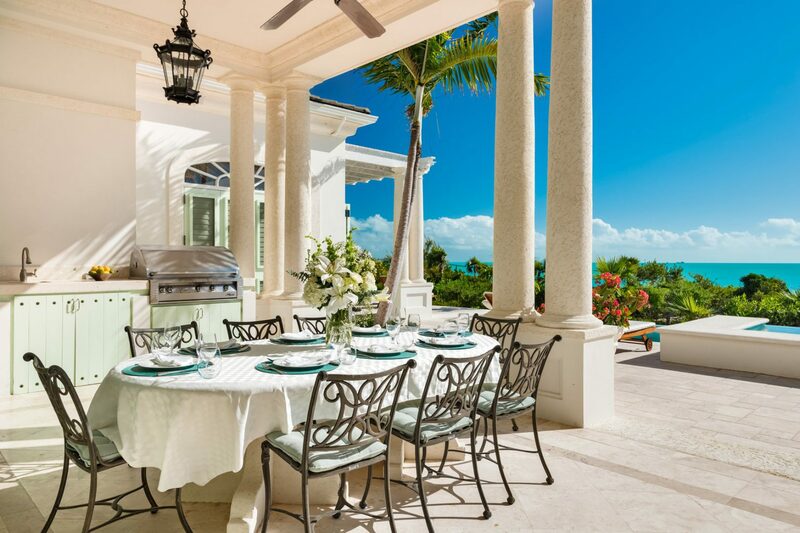 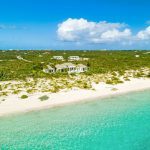 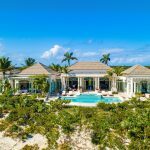 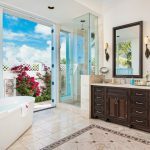 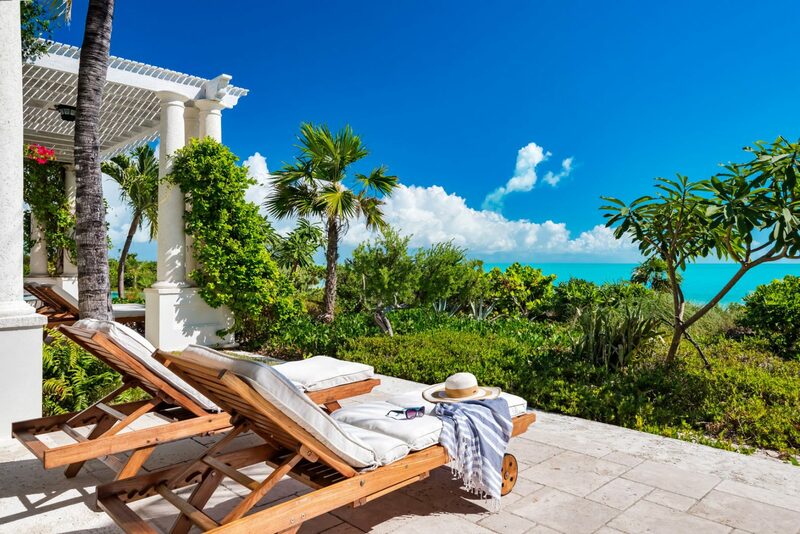 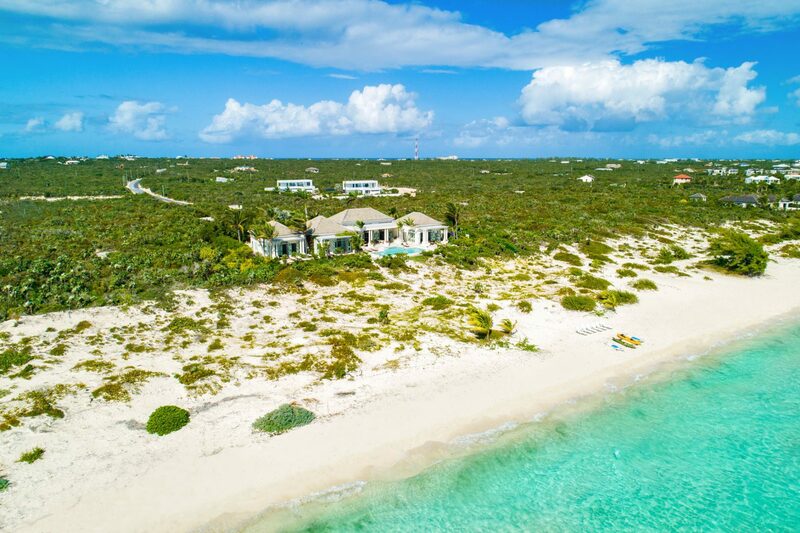 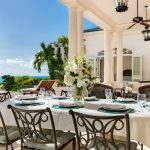 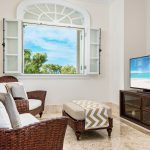 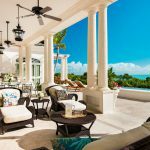 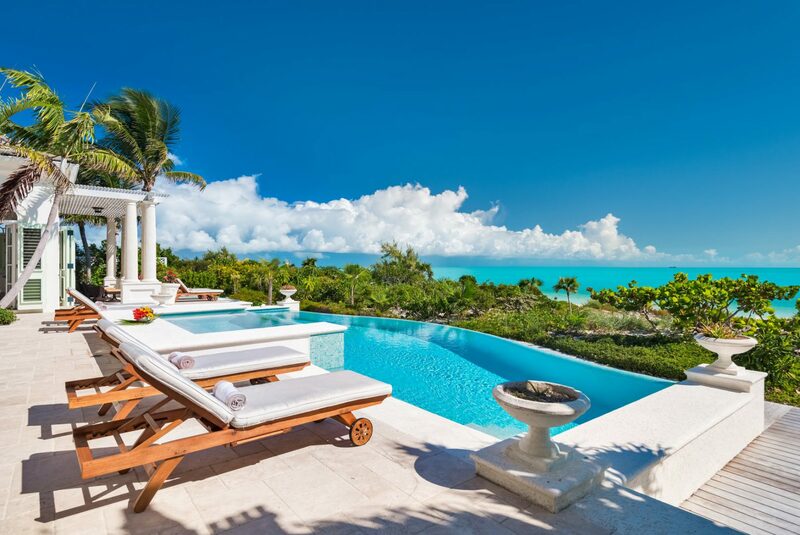 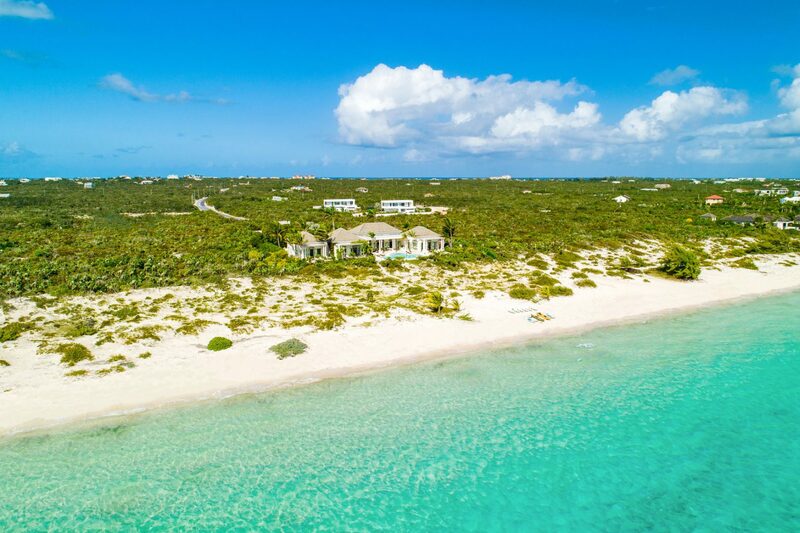 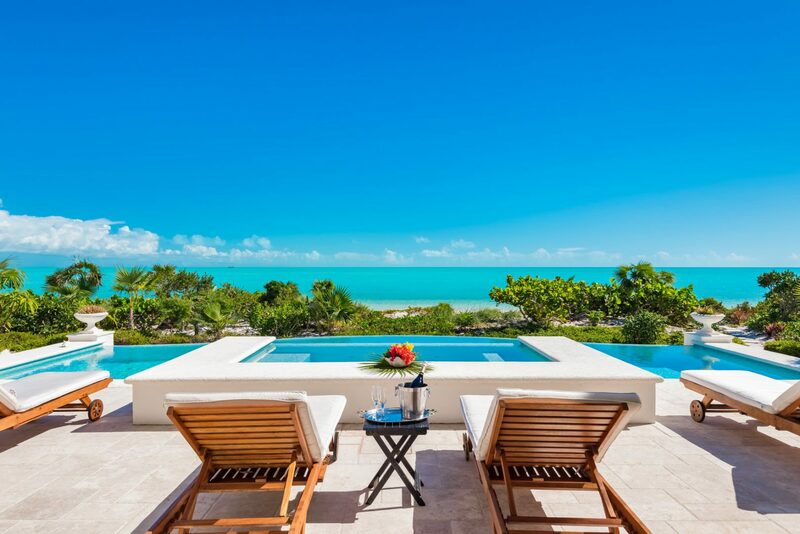 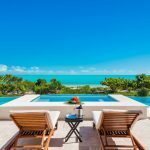 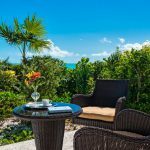 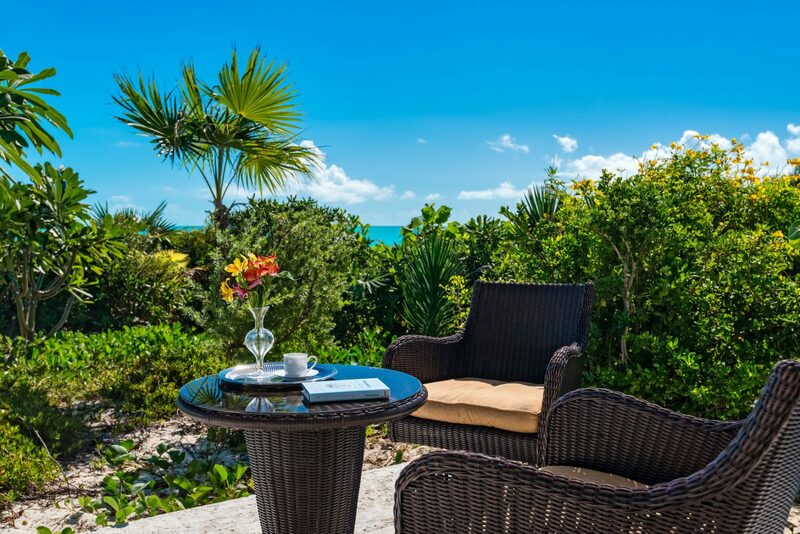 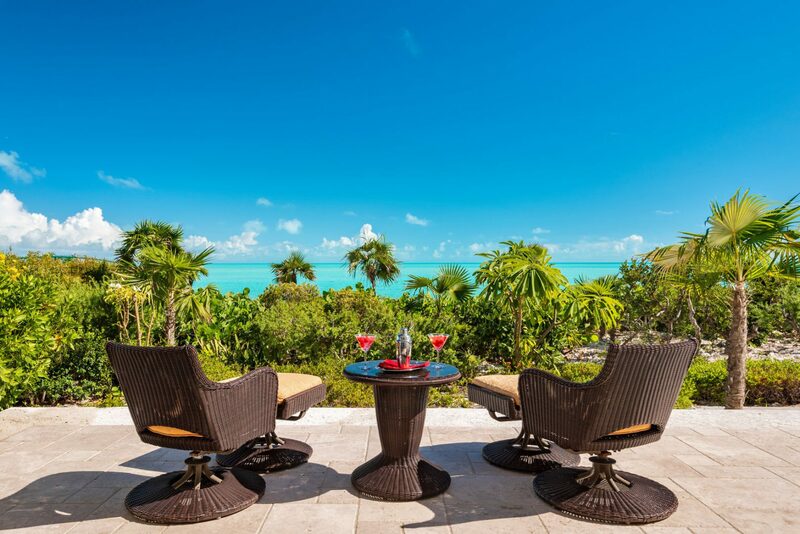 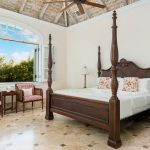 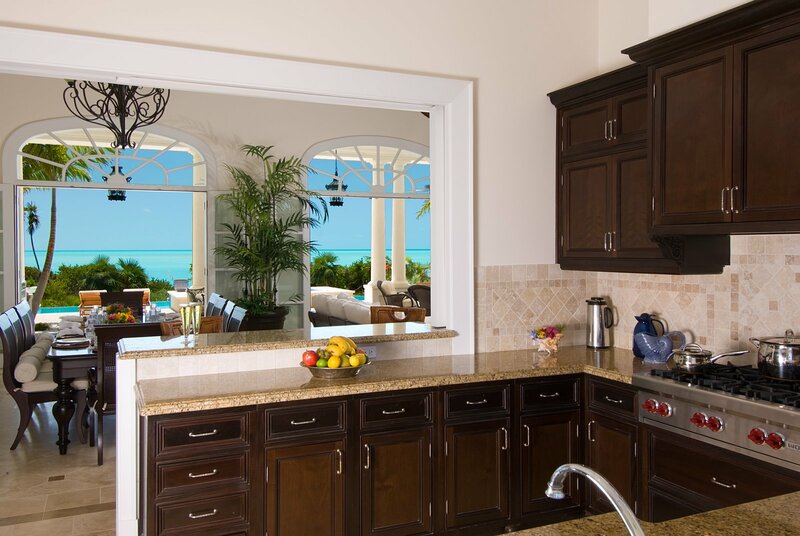 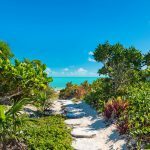 *Low April Special* Unbelievable Views at Turtle Beach Villa 5BR villa on world famous Grace Bay Beach in Providenciales, Turks&Caicos.